More and more small companies are finding creative ways to conduct business using mobile devices. These devices can allow outside salespeople to easily take orders in the field. Managers can access the company network from home, and employees can join conference calls while on the road. But this new technology also comes with a downside: concerns about the security of the information stored on mobile devices. Because smart phones and tablets have the capability to store valuable data, they may contain sensitive information like credit card numbers, customer information or logins to the company network. If stolen, this data could be used to cause considerable damage to your business. 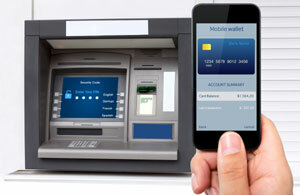 Mobile devices can also transmit information about the owner’s identity, enabling the thieves to commit other offenses. According to the Pew Research Internet Project, 58% of American adults now have a smartphone and 42% own a tablet computer, but almost 40% of adults surveyed by Consumer Reports in 2013 didn’t take even minimal security measures such as using a screen lock, backing up data, or installing an app that could help locate a missing phone. 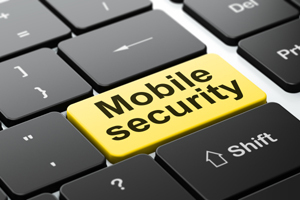 If your employees are using these mobile devices to conduct business, how confident are you that they are doing everything they can to keep information safe from hackers and identity thieves? First, apply the same common-sense security rules to your mobile devices that you do to the desktop computers and laptops in your office: don’t download software or apps from unknown sources, don’t open attachments or click on links in emails from people you don’t know, and protect your device with a strong password that’s not used on anything else. Beware of “shoulder surfers” who may be watching when you enter passwords, and avoid using Wi-Fi in public places unless it’s an emergency that justifies the risk of being hacked. Turn off your device when not in use, or set it to automatically lock if it hasn’t been used in several minutes. Also remember to switch off your Bluetooth device when you’re not using it. Download an app that will help you find your phone and disable it if it’s lost or stolen. In the Apple store, it’s Find My iPhone, and the Android equivalent is Find My Phone. Unincorporated companies are limited in the amount of losses they can carry over from year to year, while corporations are not. Don’t use chargers that don’t belong to you. Devices attached to charger cables can be used to grab your information. Download antivirus software and make sure to keep it updated to the latest version. Install updates to your operating system as soon as they are offered -- they may contain “patches” to fix security weaknesses. Be cautious when downloading apps, and only grant permission to use the information they need to operate. For example, if they don’t need to know your location, don’t give permission to use the GPS function. Read the terms and conditions before downloading anything. It might be convenient to use the Notes function on your device to store passwords, bank account numbers, or other easily forgotten data, but don’t keep any sensitive information there. If your device is hacked or stolen, it may give thieves access to enough information to steal your identity. As with any valuable possession, keep an eye on your device at all times and don’t loan it to anyone you don’t know and trust. You might think you’re doing someone a favor by letting them use your phone to call a tow truck, but it takes just a few seconds to install malware on your device. Instead, offer to make the call for them, and watch them carefully as they handle your phone. After you’ve upgraded to that fancy new device you’ve been craving, it’s time to recycle or donate your old one. Be sure to reset it to the factory settings before letting it go. If you’re not sure how to do this, ask a professional. Bottom Line: If your employees use smart phones or tablets, do they know all the basic rules of “data hygiene” we’ve just mentioned? Make sure they follow these basic guidelines. If necessary, help them set up their devices with the proper apps and passwords so they’ll be protected, whether on company business or out and about on their own.